← Toyota is going to the Olympics! Celebrating El Cajon’s Tax Rollback! 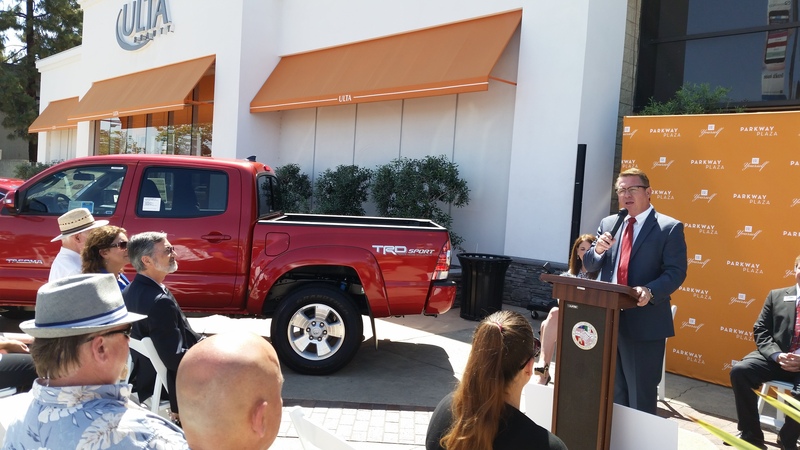 Today, April 15th, we celebrated alongside Mayor Bill Wells (El Cajon), Jill Kobe (Parkway Plaza GM), Eric Lund (East County Chamber of Commerce GM), Chris George (Valley of Cars Dealers Association President) and the El Cajon community in celebration of the half percent tax cut made in El Cajon! El Cajon has become the only city in the state of California to cut taxes in 2015 while 45 other cities have implemented a tax increase or renewed their existing tax rate. Taxes were originally increased to improve safety facilities such as police stations and fire departments. With goals being met through the tax increase, El Cajon has implemented a tax rollback. Reducing taxes from 9.0 percent to 8.5 percent will create a savings of $8.6 million to El Cajon residents which was demonstrated by a giant check made out to The Citizens of El Cajon. Mayor Bill Wells addressing the El Cajon community. 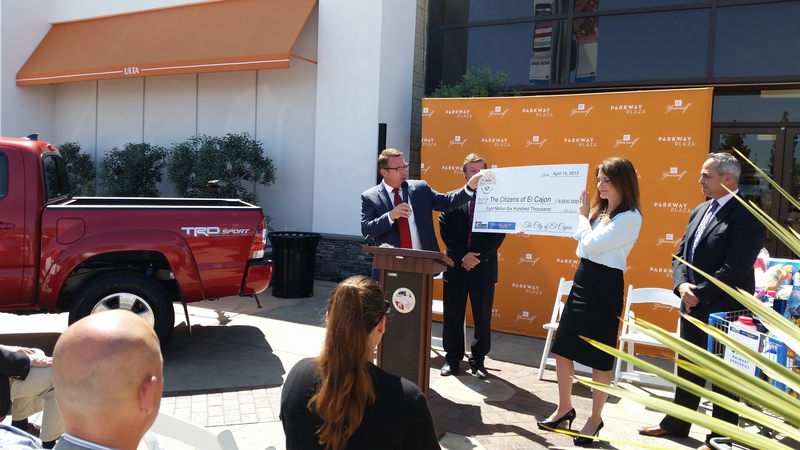 Mayor Bill Wells and Parkway Plaza’s GM, Jill Kobe, presenting giant check.